Look at all the cheesy goodness! 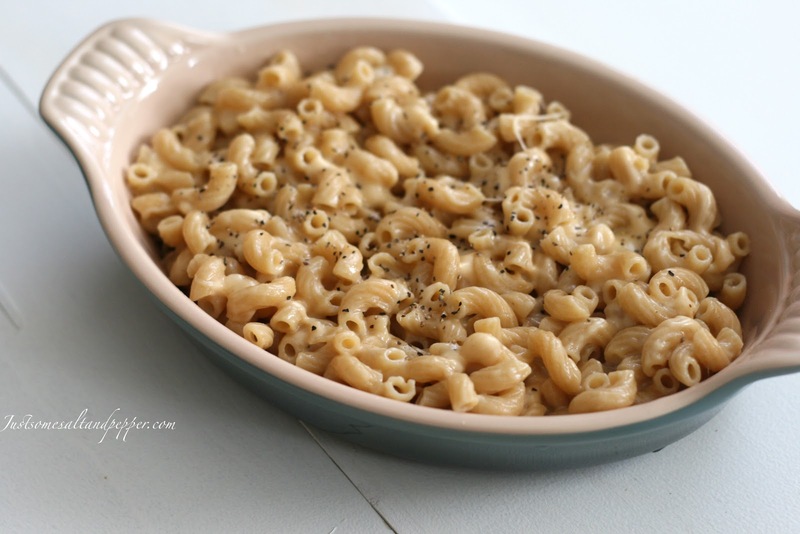 I absolutely love macaroni and cheese, but unfortunately it is not very figure friendly. I recently picked up the Weight Watchers New Complete Cookbook and knew I had to try this recipe as soon as I saw it. I swapped out almost all the cheeses that the cookbook used and added ones that I like and I also decided to use whole wheat pasta instead of regular. Feel free to use whatever cheeses you want. I've been eating this for lunch for the past couple of days. 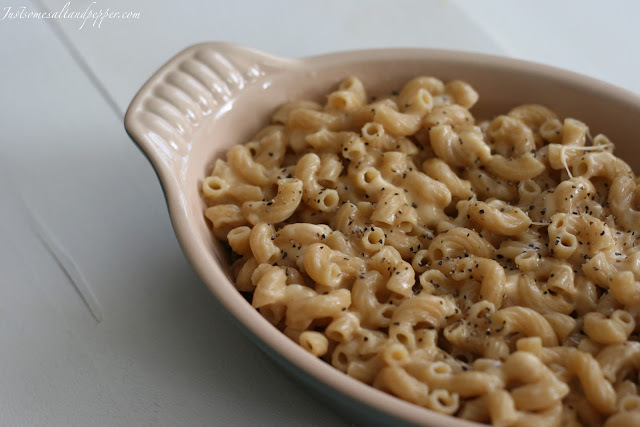 It was so simple and easy to make and it definitely satisfied my craving for mac & cheese! 1. Cook the pasta according to package instructions; drain and return to the pot. 2. Add the rest of the ingredients to the pot and cook over low heat, stirring constantly, until cheeses melt and sauce thickens; top with more pepper if desired before serving.